Everyone is familiar with the expression ‘Would you like a drink?’ Or ‘let’s go out for a drink.’ Drinks and drinking are part of our social culture. Drinking water is essential to all forms of life and without water one would not survive. Essentially a beverage, as a form of liquid, is also a drink. However, the rituals and the background to the two terms enable some subtle differences to be apparent. Drinks come in many different shapes and sizes. The most common drinks are water, milk, juices, tea, coffee, soft drinks and alcoholic drinks. Alcoholic drinks such as wine and beer contain ethanol. There are soft drinks or cool drinks, flavoured drinks and carbonated drinks or fizzy drinks. Different countries have different names for their soft drinks ranging from soda, soda ‘pop’, and brand names like coco cola. The soft drink is made from refined cane syrup or corn syrup and usually very sweet because they contain more than the healthy recommended daily allocation of such sugars. Purification – water is the most common ingredient of most drinks. It can be filtered, chlorinated, or boiled to free it of bacteria and carrying disease. Pasteurisation – this process is used mainly for milk. The liquid is heated for a short time and then cooled immediately. The process reduces the growth of microscopic organisms. Juicing – fruits and vegetables can be used for extracting juices to be made into drinks. These drinks are considered to be healthy options. Infusion – this is the process used to extract flavours from plant material by lowering it into water and allowing flavours to permeate the water. It is particularly used with different flavours or types of tea. Percolation- this type of drink is produced when the solution, water, passes through a permeable substance like coffee grounds to extract the flavour, colour, and aroma of the substance used to percolate. Carbonation – This occurs when carbon dioxide is dissolved in water. The water can be flavoured and the drink then becomes fizzy. Fermentation for wine – sugar and yeast combine to convert to ethanol in the fermentation process. When wine is made grape juice is used and the amount of fermentation time combined with the amount of sugar will determine the sweetness of the wine and the level of the alcohol. Fermentation and beer – beer is brewed with water, grain, hops and yeast. The germinating grain starts the process called malting. Then it is milled and soaked and ferments. Distillation – is a method of separating mixtures to produce mild spirits that are alcoholic in nature and can be added to drinks for the purpose of mixing drinks. How is the word drink used in the English Language? The word drink can be used as a verb or a noun. Drink is used as a verb when it refers to the act of taking a drink. The children were thirsty after the soccer match and went to drink some water. Drink becomes a noun when it is used to describe the item that is being drunk the actual drink. The supermarket sold an orange drink and other fruit drinks for families to buy as a healthy option. Drink can also be used in the act of toasting or celebrating a person or an event. Drink a toast to. The students raise their glasses and drink a toast to absent friends at their annual reunion celebration in the school hall. Drink has many synonyms but only one antonym. Idioms, sayings and slogans: Drinks and drinking are part of society and many cultures and so it is not surprising that there are many expressions attached to the act of drinking. There are slang expressions and particular words just for different drinks. Brand names like coco cola or coke have spent large amounts of money on branding and marketing their drink. ‘Coke is it!’ always simple and to the point. ‘Eat, drink and be merry for tomorrow we may die.’ This saying is attributed to the Bible but not as a single verse. It is a combination of verses from Ecclesiastes – ‘ a time for everything’ and Isaiah – let’s eat and drink for tomorrow we die. Mixing drinks has become a pleasurable occupation for many. Cocktails and alcoholic combinations get served at parties. One famous concoction is Black Velvet a combination of champagne and Guinness. It was first created in 1861 as a tribute to Prince Albert when he died. The barman added a slug of Guinness to the champagne to create a drink that would mourn the death of the prince. Black velvet and other combinations are always referred to as drinks. What then is a beverage? It is said that a beverage is also a drink because it is a liquid. It is consumed by people during social occasions. 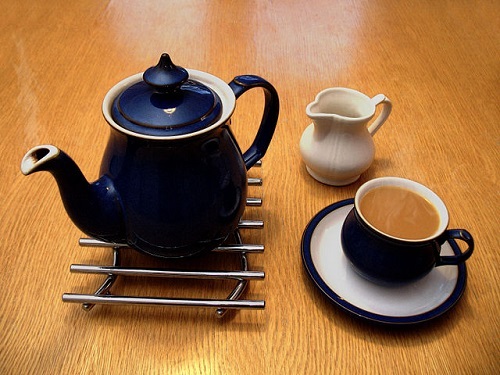 Generally speaking a beverage is a hot drink or a brew of some sort. The beverage may not necessarily have alcoholic connotations as tea and coffee are brewed and are beverages. Beer is brewed and has an alcoholic component. It is not served hot like tea and coffee but during the brewing process heat plays its part in the making of beer. Beverages can be brewed, infused, percolated and fermented in fact everything associated with drinks can be linked to beverages except water. A beverage has to have something added and water itself is just that – water. How is the word beverage used in the English language? A beverage can only be used as a noun. Unlike drink, beverage cannot be a verb. Beverage is a noun; it is an object you can make or purchase. Beverage has several synonyms including ‘drink’. 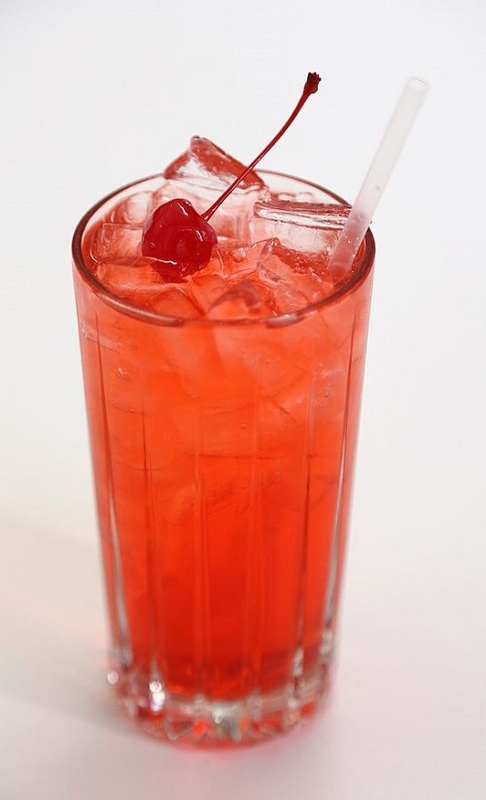 Beverage appears to be used more formally in restaurants and commercial outlets. Beverages will appear on the menu ready to order. A person is more likely to ask a friend for a drink not a beverage although they may look for the drink in the beverages section of the menu. Inviting someone for a beverage sounds pretentious and not very relaxed. When it comes to expressing the social order of drinking and enjoying drinks it would be correct to use the word drink more often than not. If you try to exchange the word drink for beverage it will not sound correct in simple conversational English. A well=known sixties song sung by a group known as the Scaffolds was called ‘Drink a drink a drink to Lilly the Pink the Pink. It was a popular song based on the tonic, a medicinal compound, concocted by Mrs Lydia Pinkham. It would not have sounded right to have sung about a beverage rather than a drink. The difference then between beverage and drink lies really in the popular usage of the word and the hundreds of expressions and social actions surrounding drinks and drinking. Beverages offer the same social experiences but not the conversational expressions. Then consider water, it is the one liquid that forms the base of so many drinks and beverages. However, in spite of being a common element, water our basic H2O is the one part of the picture that is not considered to be a beverage. Socialising and conversational vocabulary used to describe the act of having drinks A more formal pretentious way of talking about having drinks. Can be used as a verb and a noun. Only used as a noun. Used to quench thirst hot or cold with or without alcohol. Drinks can be mixed and used as cocktails. Also used as a thirst quencher, hot or cold, with or without alcohol. More effort needed to process a beverage. Suitable for young and old, part of the culture of drinking for celebrations. Suitable for all ages and the culture of drinking for celebrations but probably offered as drinks. Christina Wither. "Difference between Beverage and Drink." DifferenceBetween.net. September 25, 2017 < http://www.differencebetween.net/miscellaneous/difference-between-beverage-and-drink/ >. Gary Martin ; Meaning and origin of Eat drink and be Merry. www.phrasefinder/phrasessayings/proverbs/idioms, 2017.